France is one of the most popular study destinations in the world, with nearly 300,000 foreign students, and it contributes up to 10 percent of the country's college student population. Capital of France, “PARIS” has been named as the world’s number one student city four times in a row! Relatively low tuition fees, English taught programs and the perspectives of travelling across Europe are certainly appealing. Higher education in France is given praise around the world for its excellent teachers and research. France is a developed country with the world's sixth-largest economy by nominal GDP. It is one of those rare destinations whose reality completely lives up to its reputation. And as a possible study abroad location, there is arguably no better place in the world, because the combination of educational institutions, arts and culture, and national history are second to none. France has long been a global centre of art, science, and philosophy and it is a home to 31 of the world’s 500 largest corporations such as Airbus, Orange, and L’Oréal etc. World Recognized: France's institutions award degrees that adhere to the common European architecture known as LMD (for License, Master, and Doctorate). French diplomas are therefore recognized and accepted throughout the world. The quality of French higher education is widely recognized throughout the world. Work Opportunities: Full-time students in France have the legal right to work part-time. Besides financing your studies, you’re also gaining valuable working experience. You are allowed to work only 964 hours annually i.e. 20 hours per week. In case you are in a 6 month program, then you are allowed 472 work hours. World-class economic power: France has the world’s fifth-largest economy and the country is Europe’s second-largest market. France is also the Europe’s leading destination for manufacturing investments. Healthy and Safe: France is the healthiest country to stay & live for international student. It is one of the safest places to study with very low crime rates. French, local people are very helpful and friendly in nature and they help international student to live in a healthy environment. France ranks fifth in the world in the responsiveness of its health services to the needs of the population. 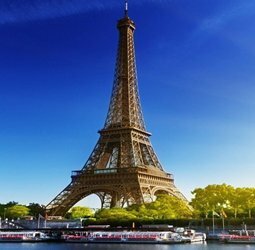 Learning Environment: Situated in the very heart of Europe, France is the world’s top tourist destination in terms of number of foreign visitors. Paris, capital of France is ranked the second best city for students. Apart from study, you can learn French that is the most widely studied language in the world after English and It is the world’s third most common business language and second most common language of international news. The French education system long enjoyed a reputation for having one of the best education systems in the world, with a nationally set curriculum, traditional methods of learning, high academic standards and strict discipline. All educational programmes in France are regulated by the Ministry of National Education. The head of the ministry is the Minister of National Education, one of the highest-ranking officials in the cabinet. Higher education in France is organized in three levels or grades which correspond to those of other European countries, facilitating international mobility: the Licence and Licence Professionnelle (bachelor's degrees), and the Master's and Doctorate degrees. France has held its prominent place in subjects like Mathematics, Astrophysics, Biology, Genetics, Physics and other science subjects. The past record of the country in relation to its contribution to science and research field, its achievement is tremendous. France offers students a full spectrum of academic and professional opportunities at affordable fees with 73 public universities, more than 200 engineering schools, 150 business and management schools, 20 schools of architecture and 3,000 other specialized institutions. France education system gives you more opportunities in your hand to excel your career graph in various fields such as Nuclear, Space and Aviation, Engineering, Teaching, Linguistics, Art, History, Medicine and Fashion. Living in France, cost varies depending on the city and the type of stay, there is wide variety of safe and modern accommodations offered to students, you can choose according to your needs and budget. University residence– you’ll most likely be on or near your campus so getting to class should be relatively easy. On other hand, give you option to live with other students and it can be a great way to meet people of different courses. Private student buildings– Many Students choose these option (Private, rented accommodation) as they have want to live with French students and it is a great way to throw yourself in the deep end and be fully immersed in the language and culture. If you are renting a property, then you have to follow some legal formalities. Home stay– French Families offering home-stay accommodation to international students are ensuring them to provide a suitable living environment. Generally this type accommodation helpful for younger student. France, have generally two intakes, first major intake is in September and the other intake is in February. Before initiating the process for study in France, first you need to go through, with application procedure, if the application is successfully done, you will receive a conditional/confirmation offer letter from the institutions which can be used for a long stay student visa. After completing the fees, other formalities and requirements, then onwards you need to go for a visa interview, to verify the financial documents along with the visa documents at the Embassy of France. For visa application you may require some documents i.e. application form, photos, valid passport, offer letter, proof of financial documents, tickets and accommodation arrangement, medical insurance (minimum cover of EUR 30,000), language proficiency certificate and many more. In addition, student need to remember one thing, the visa process can take up to eight weeks to process, and varies by Consulate. Therefore, you should begin the procedure at least three-four months prior. Before departing for studies in France there are many things that need to be done. Set up a France bank account to make your transaction easy. Prescriptions to support your, use of any required medications. Have enough cash in Euros to get you through the first few days. Be ready for a cultural transition and learn French.